Developer: Patrick Hackett and Joe Bourrie. 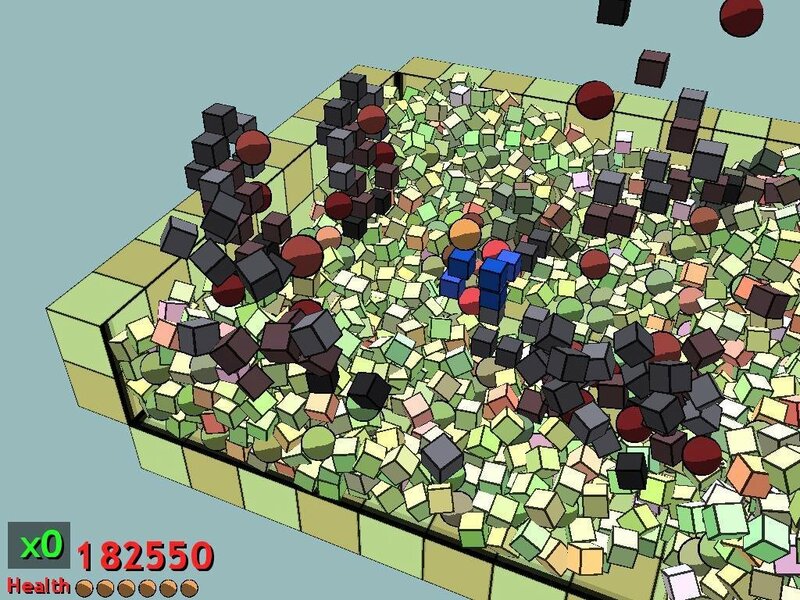 Fight your way out of a box by destroying your cube shaped enemies and climbing on them. What we have here is possibly the best freeware fighting game ever. The graphics are nice, the music is awesome and best of all, the idea is new. Basically you’re a man stuck in a cube; you’re also made of cubes. So are the enemies. When you punch or kick them, they fall apart. 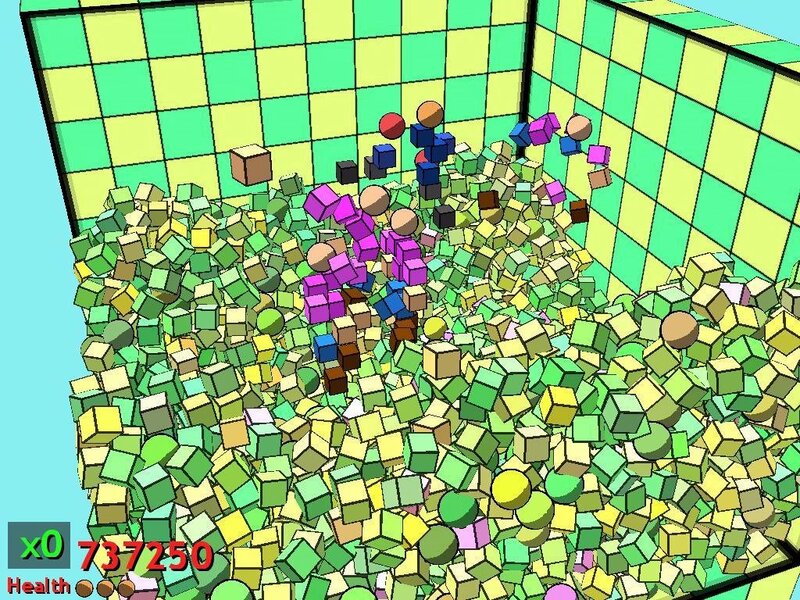 Then after a while a massive pile of them builds up and you climb over them to escape the cube. This is a great idea and it works really well too. Based on how much of the level is filled up (and other factors) you get a bonus level after each round. Depending how you went in the round determines what type of round you enter. Basically, this is the snazziest fighter to come around in a long time. Though it does have some draw backs, such as no real instructions to tell you how to get combos and such. And there is no 'options', which this game needs. For example, turning down resolution or colours because it’s kind of hard to see the baddies when there’s lots of them on top of a pile of discarded ones and so on. Though with that aside, this is a fun, exciting original new fighting game which should entertain most crowds, not only the fighting scene. This is probably my favourite freeware fighting game, despite the fact I'd usually go for something a little more bloody and brutal. 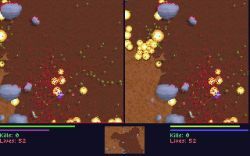 The combat is easy to get to grips with, so that new players will feel comfortable for the first level or two, but deep enough that masters will make taking on 10 or 15 enemies at once look as easy as Neo in the burly brawl: as you'll see if you load up the first level of challenge mode, and get swamped by 10 or so of the, admittedly, easiest enemies. The only problems I found were a couple of glitches on exiting the box at the end of level, although this was only on my laptop, and the lack of levels: repeating the 3 main levels in challenge mode, just with more enemies? Not cool. Still the most free-flowing, accessible 3rd person fighter I've seen anywhere outside commercial efforts. The fighting style is funny indeed, but it's just a mix of cool punches and kicks and a few throws, knocking down (actualy knocking to pieces) enemies with a single blow. Exciting at a first glance but it doesn't last long. It got too repetitive after ...5 minutes of gameplay. It is ideal if you wanna laugh for a minute or two but expect nothing more. 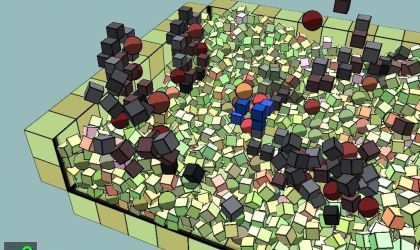 This game is a great game in which you beat up endless swarms of bad guys made out of cubes and spheres. It's actually pretty fun, with 5 types of enemies, and different bonus levels. The only problem is that it starts getting repetitive by the fourth level. The only difference is the music and the height of the walls. Still a good game. 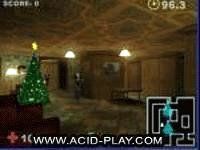 Originally I downloaded this game from Download.com but I am delighted to see that someone has added it to Acid-Play! I think that you should download this game immediatly! 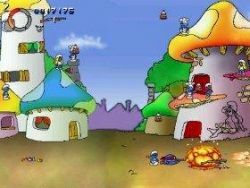 I played this game ages ago, and it's great fun, I still play it today. Great cell shaded graphics, and fun music, plus cool combos and overall great gameplay. Very appealing, but it gets really hard and loses its, er... goodness.